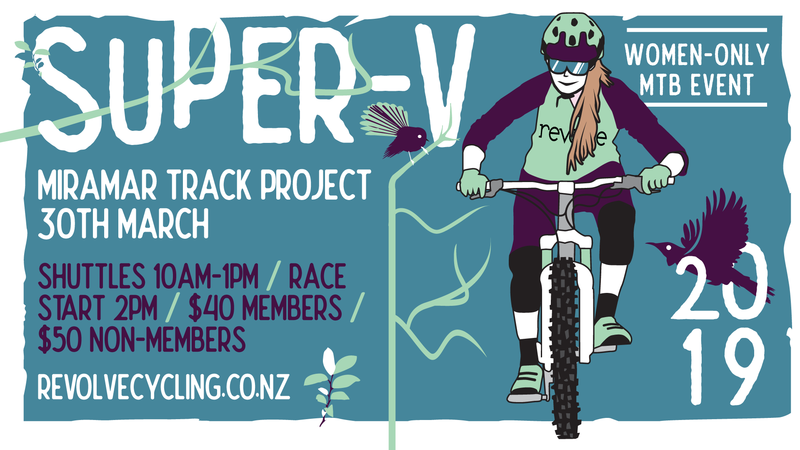 The Super V really is a one-of-a-kind women-only downhill race. This year we're having it in Miramar on March 30! Under the shadow of the decommissioned Mt Crawford Prison you will enjoy the beautiful trails of the Miramar Track Project, enjoying glorious biodiversity along the way as a result of the dedicated community restoration and predator control efforts! Enjoy our shuttles all morning. Ride from the dual slalom track into the famous Jail Brake, finishing on Repeat Offender at the stream crossing. These are mainly intermediate trails. If you've not ridden there before, check out this video and look out for our guided pre-rides in the weekly Revolver. We are switching it up this year so you will have two timed runs. Placings will be based on the fastest of your two timed runs. We have a cool new location for the prize-giving and after party at Double-Vision Brewery. We can't wait to celebrate with you following the event! In the situation of a severe weather forecast on the day of the event we will postpone to the 31st. Please note we do not offer refunds if the event goes ahead on the rain date. If we are forced to cancel, we will refund what we are able to after non-recoverable expenses are met. T-Shirt Orders have now closed.